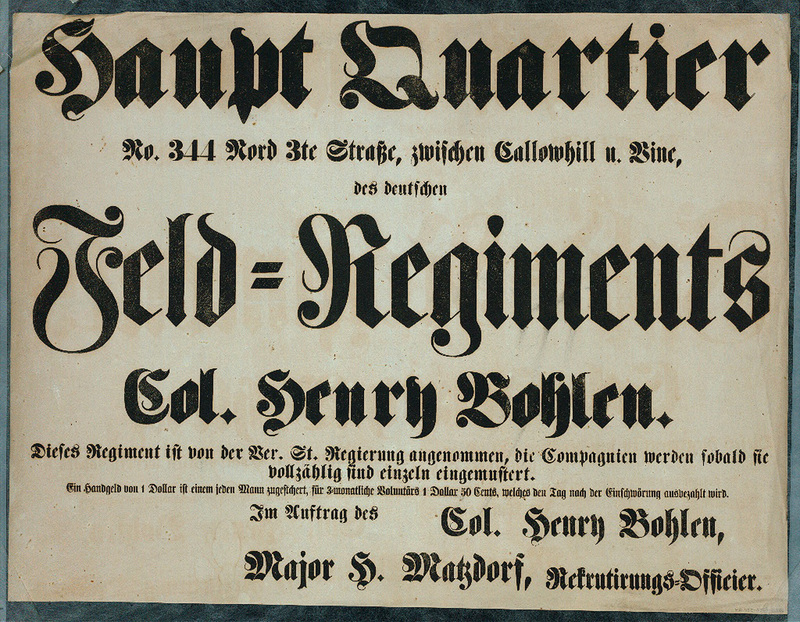 German-language recruitment poster, Philadelphia, PA, 1861. Flip to General Henry Bohlen, circa 1862. After Abraham Lincoln called for 75,000 volunteers in April 1861, recently arrived Germans immigrants in Pennsylvania enlisted in five ethnically German regiments (the 27th, 73rd, 74th, 75th, and 98th Pennsylvania). In the rural eastern counties, however, most Dunkers, Mennonites, Amish, and other German pacifists would not serve.